Welcome to my home page. We are a leading provider of real estate valuations for the mortgage lending marketplace. With over 25 years of residential and commercial experience in the business, we have a proven track record of reducing time, efforts and costs in managing the appraisal process. 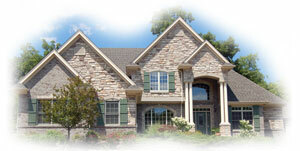 We serve the Hampton Roads market in Virginia. Through this website, you can perform a number of tasks. Ordering an appraisal is just a click away. Or, spend some time and find out a bit more about the appraisal business. The more you know, the better decision you can make. Check back frequently, as our content is always being updated.